JILL SCHLESINGER, CFP®, is the Emmy-nominated and Gracie Award Winning Business Analyst for CBS News. 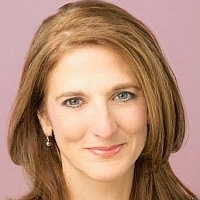 She covers the economy, markets, investing and anything else with a dollar sign on television, her podcast, her nationally syndicated radio show “Jill on Money” (winner of the 2018 Gracie Award for Best National Talk Show), the web, and her “Jill on Money” blog. Jill also won a 2018 Personal Finance Reporting Award from the Radio Television Digital News Association (RTDNA)/National Endowment for Financial Education (NEFE). Prior to her second career at CBS, Schlesinger spent 14 years as the co-owner and Chief Investment Officer of an independent investment advisory firm. She began her career as a self-employed options trader on the Commodities Exchange of New York, following her graduation from Brown University.